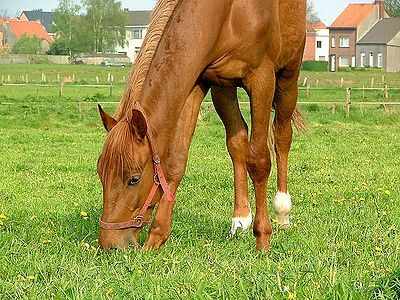 A horse’s nutrition needs vary a bit with the change in seasons. 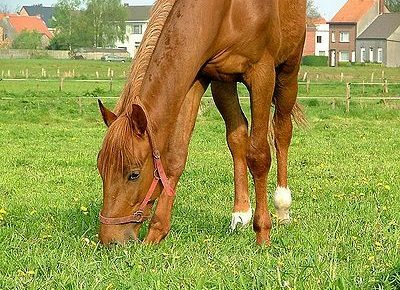 Feeding your horse an appropriate diet is essential to his/her good health. Spring brings new growth in plants and grass. 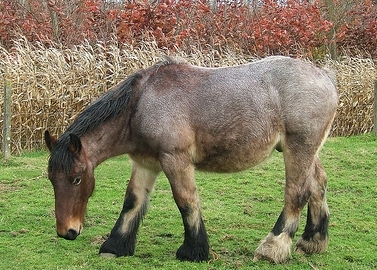 Horses, particularly those who are usually not out in pasture, should be allowed at first to graze for an hour, increasing the time by an hour daily. This can help reduce the risk of colic or other digestive problems. In summer dry forage can be reduced so as not to create excess body heat. Water intake increases as well. Fresh clean water should always be available. Adding fats, oils, new soluble fiber to the diet creates less heat. Keep pasture weed-free and mow several times to increase nutritional value of the grass. Autumn is the beginning of adding extra weight in preparation for winter. Add more hay, vegetable oil, beet pulp, and for fussy eaters, some grain with oil. Orchard grass is good for pasture and hay. It has a distinct line down the middle, is bluish green in color and has seed heads in dense clusters. Wintertime, some horses prefer their water somewhat tepid. Just be sure there is no ice in the water. Hay amounts should be increased with a little extra on extremely cold days. The fiber’s slow digestion is what keeps the horse warm in the cold season. It’s vital to your horse’s health to make sure s/he is drinking enough water to aid digestion. In all seasons, check all feed for mold or dust. Make sure your horse is eating and drinking properly for good health.